The first time I went to France I was 16 years old. I never wanted to leave. I went as part of a school trip. It was the first time I’d really left home and I instantly fell in love with France. On our nine-day trip we walked through the streets of Paris, visited Versailles and traveled through the Loire valley, Normandy and Bretagne. Everything we saw, every meal we ate and every step we took seemed so precious and amazing. Looking back I had no idea how much that trip would shape my life. At the end of our trip I was ready to stay in France. Not even in a joking way. I really wanted to stay. The night before our plane left I laid in bed thinking about all the different jobs I could do as an illegal immigrant. Whatever it took to stay! As you might imagine I did board that plane. My legs felt like lead every step of the way. For months afterward I spent hours looking at my photos and reliving my time in France. It’s probably no surprise then that I continued studying intensive French in high school and then ended up majoring in French in college and living in France. Actually, living in France was even more amazing than visiting! I loved every second there and, again, when it was time to leave my legs didn’t want to take me. This time I knew that I would do whatever it took to get back. What does one do with a degree in French you might wonder? Well, that is exactly what my dad asked! After graduating from college I was hired by the French embassy to teach English in the same town I had lived in earlier. My dream job! Except I never made it there. Instead I was waylaid by another growing passion. 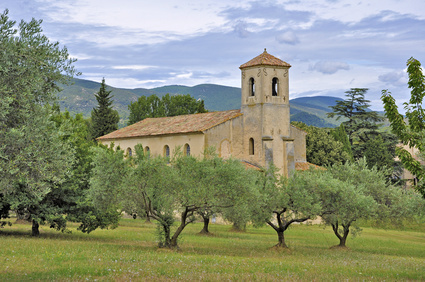 Join Rosalee and Christophe for an Herbal Intensive in France! Learn more about the course at this link. In the interim between graduating from college and starting my new job in France I started to learn about natural living and primitive living skills. One of the instructors at the school I went to specialized in ethnobotany and soon I was swept up in the magic of plants. So I turned down the job in France in order to stay in the US and study plants. After three years of apprenticing at the school a new student arrived who immediately caught my attention. Within minutes of meeting him I had found out he was really into wilderness skills, and he was French! I knew instantly that he was mine. We were engaged shortly after we started dating and I married Xavier a year later. He continues to be the greatest gift of my life, and not only because he is French. Well, life continued on. I continued to study herbalism, I opened a clinical practice and I became the Director of Education at LearningHerbs.com. It’s been a very exciting and fast paced 10 years! A couple years ago we traveled to France to visit friends and family. It was an amazing trip. Every person we stayed with took us to see plants growing in wild places or in botanical gardens. We saw linden trees lining the streets of Paris, nettles growing out of every nook and cranny, and dandelions turning alpine meadows into gold. In a month-long visit I took over 4,000 photos of plants. 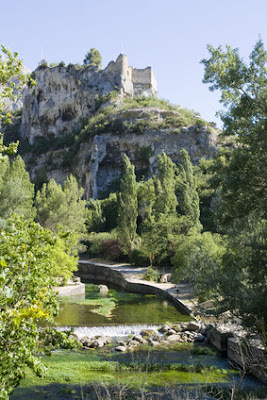 The only part of the trip that I was pretty nervous for was our trip to Provence. That was kind of a wild card part of the trip. I had met an herbalist online, Christophe Bernard. He was active on Henriette’s Herbal List Serve and when he announced he was moving from the U.S. back to his hometown in Provence, I sent him an email to introduce myself and get some tips on what herbal kinda things we could do in France. He ended up inviting us to his region so he could show us around. 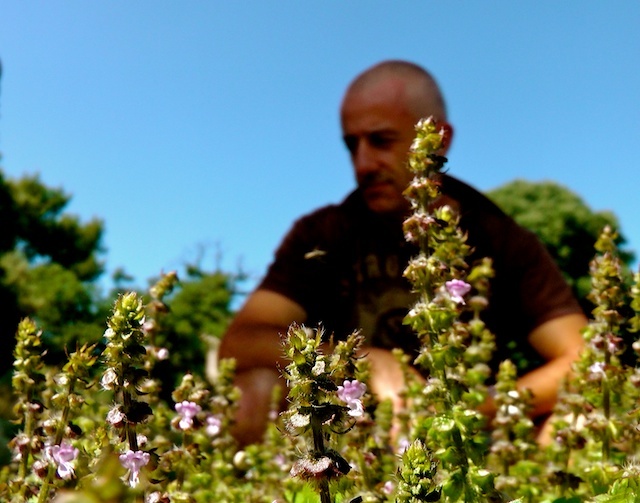 Christophe Bernard in his garden with holy basil in the foreground. Christophe was an incredibly generous host for his region. We arrived as total strangers and both he and his wife Isabelle showed us immense hospitality by being our personal tour guides of the region for three whole days! They took us on such beautiful hikes. My favorite was an old trail, and when I say old I mean old, like thousands of years old, between two villages. Along the way we saw many favorite plants growing in their native habitat. Thyme, rosemary and savory lined the trailside as well as many more beautiful plants. Christophe gave us a great plant walk and shared a lot about the regional culture and traditions. We also had a tour of his amazing gardens where he had grown herbs from all around the world from seed. His gardens are one of the most impressive personal gardens that I have ever seen. 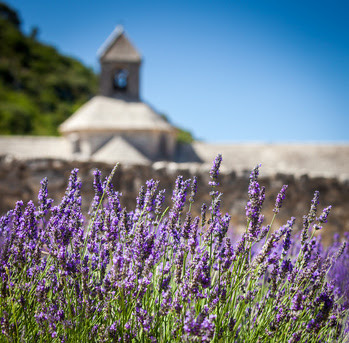 There is a tangible magic in Provence, especially when it comes to their herbs. Provence can be a harsh environment: intense winds in the winter, hot sun in the summer and not a lot of rain. 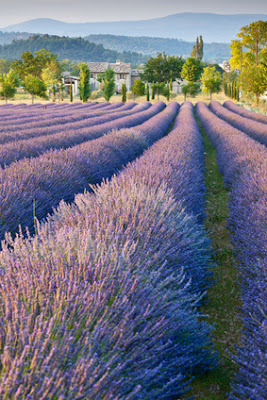 Some say that the harsher growing conditions the stronger the plants, and being in Provence this certainly seems to be true. The thyme is so incredibly fragrant and spicy. The rosemary grows in cracks between stone walkways and is more vibrant than I’ve ever seen it. Christophe and I stayed in touch after our visit. I can’t remember at what point Christophe and I started talking about doing a course together. At first it might have even been sort of a joke, but at some point I knew teaching a class with Christophe would be a special experience and we just had to do it. Christophe and I spent a long time wondering what to teach during our week-long intensive. We knew that if we taught beginner herbalist material then we would have a much broader audience who would be interested. But neither of us were especially inspired about those topics. After a lot of discussion we decided it would be important to teach herbal skills and knowledge that isn’t found in books or is very difficult to learn from books. We decided to focus on helping people understand how to approach chronic illness using herbs as well as hands-on skills like pulse diagnosis, tongue diagnosis and iridology. We also wanted to teach advanced medicine-making skills like the percolation method and formulation. 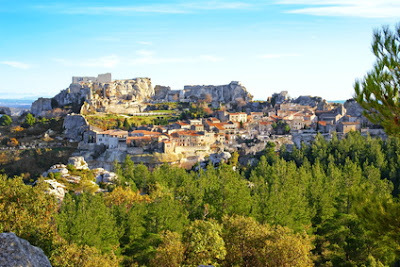 And of course, we want to give people the full experience of being in the Provence region of France! Christophe was born and raised in this region and he will guide us through amazing hikes and on an extensive garden tour. We’ve rented a beautiful traditional home, called a mas (pronounced mah), which was built originally in the 18th century. We’ll be able to hold all classes there on the beautiful grounds and enjoy breaks in the private pool. Students will have the full freedom of choosing their own meals. Our lodging will have a full kitchen where people can prepare their own meals or they can eat at restaurants in nearby towns. 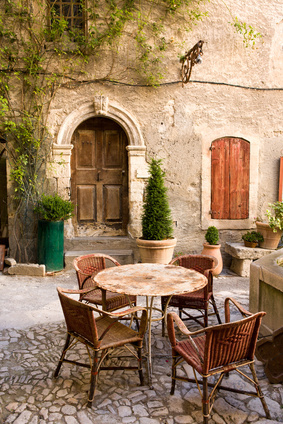 Provencal cuisine is world-renowned! Their exquisite use of herbs paired with French gastronomy is unparalleled! The course is filling up faster than I expected! But we do still have some spaces left. If you are excited about traveling to France and want to learn herbal skills not found in books you will be a good match for our program. Learn more about what you’ll learn here. Learn more about logistics here.